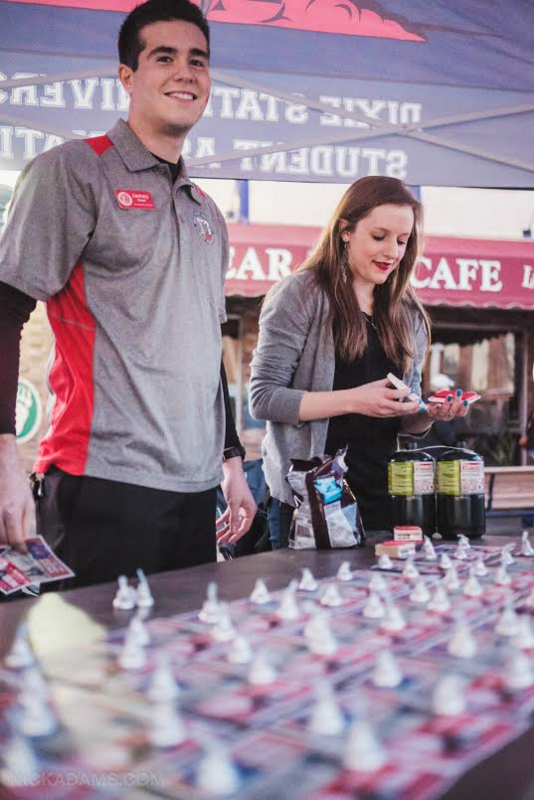 ST. GEORGE — Georgefest attendees will get a head start on all things romantic Friday at “Lovefest.” The Valentine edition of Southern Utah’s favorite first Friday event will feature indulgent fun for sweethearts, including a kissing booth on Main Street and love potions for sipping. Lovefest attendees will enjoy some extra special lovin’ from Georgefest’s street buskers, who will be performing their usual blend of romantic ballads and popular hits. New to the street busker tribe will be St. George resident Chance Steglich, a guitarist, Dixie State master’s candidate and local musical theater veteran. One of the most rewarding aspects of Georgefest, Scott said, is the opportunity to foster new entertainment through the event’s street busker program. 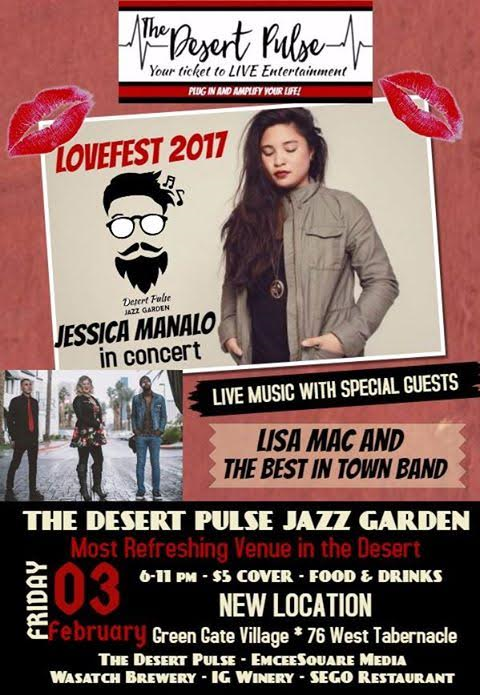 At the new Desert Pulse Jazz Garden venue at Green Gate Village, headliner Jessica Manalo will display her soul-infused rhythm and blues chops beginning at 8 p.m. The Las Vegas-based singer-songwriter released a self-titled EP last year. Opening for Manalo at 6 p.m. will be hometown favorite Lisa Mac, whose new band will be appearing with her for the first time. A self-taught pianist who began playing at the age of four, Mac is one of eight children who shares a passion for music. Along with craft beers from Wasatch Brewery and Squatters and premium vintages from Iron Gate Winery, the Jazz Garden will feature gourmet tapas from Sego Restaurant in Kanab. Prepared by Chef Shon Foster, this month’s artisan menu includes ricotta meatballs with San Marzano marinara, tomato cecca and garlic crustini; butternut squash, pumpkin seed and maple brittle in a curried crema; and pulled-pork nachos with poblano crema and cotijo queso sauce, salsa verde and cilantro. Just in time for Lovefest, the rotating art exhibit at Gallery 35, located at 35 Main St., will feature a new installation by local watercolorist Mel Scott, whose work will be on display through April. Mel Scott was the first president and an original founder of the Dixie Watercolor Society, which is housed in Gallery 35. For more information, or to become a vendor, visit the Georgefest website, or email info@georgestreetfest.com. Georgefest organizers are now accepting applications for street market vendors, buskers and food vendors. When: Friday, Feb. 3, 6-10 p.m.
Where: Historic Downtown Main Street, St. George | Green Gate Village, 76 W. Tabernacle, St. George. Cost: Free; vendors vary | Jazz garden: $5 cover charge.